NHL News : TSN insider Bob McKenzie predicts a massive suspension for Nazem Kadri. TSN insider Bob McKenzie predicts a massive suspension for Nazem Kadri. McKenzie predicting a long vacation for Kadri. 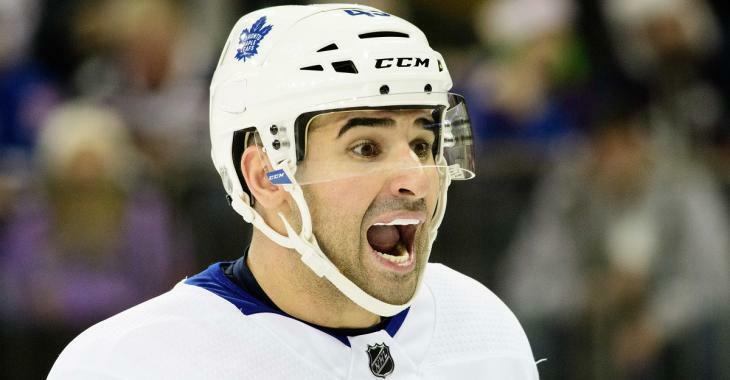 If the National Hockey League's top insider is right it sounds like the Toronto Maple Leafs are going to be without veteran forward Nazem Kadri for a very long time. TSN National Hockey League insider Bob McKenzie hit the airwaves on Monday morning when he was a guest of Dustin Nielson's on TSN 1260 in Edmonton and unsurprisingly one of the first questions that was directed at McKenzie was regarding the black cloud currently looming over the Toronto Maple Leafs. McKenzie did not pull any punches in this one and clearly laid out exactly how he expects this latest discipline hearing to go for Kadri, and needless to say the news from McKenzie is terrible for the Maple Leafs. "You did the exact same thing this year with a crosscheck on Jake DeBrusk, as opposed to launch yourself through the air on a defenseless Tommy Wingels that got you 3 games last year," said McKenzie on TSN radio. "So therefore he will get more than 3 games and in fact it is an in person hearing and he could get 6 or more, and he might, but 5 will take him out of the series so I think that is probably the floor on what we are looking at here." "Not a very smart thing for him or for his team." It is that last sentence that really encapsulates a lot of the sentiment I have seen surrounding this story in Toronto, and as a result many have openly wondered about Kadri's future as a Maple Leaf with costly suspension in the first round in back to back years. McKenzie dove into this very topic without even being asked about it and again his conclusions came off as pretty dire. "It does make you wonder what his future is with the organization... Last year first round of the playoffs, a selfish play where he loses his temper and costs him three games... and here is he is again doing the exact same thing over again." "If you're Kyle Dubas and Mike Babcock there's gotta be a point in time where you gotta ask yourself the question 'Is this guy doing more harm than good?' I think the answer is self explanatory when the stakes are as high as they are in the playoffs."